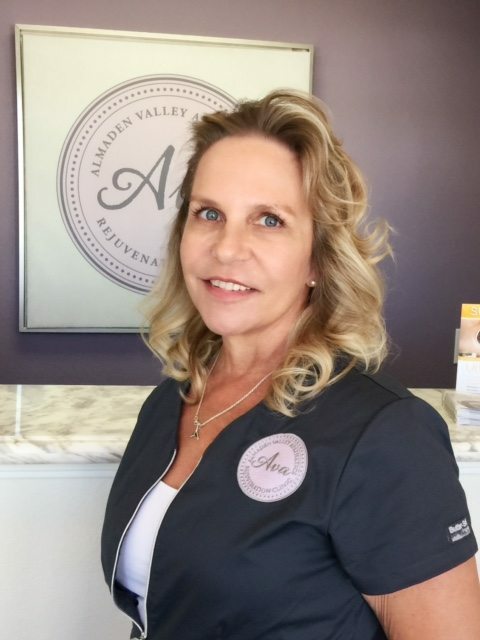 Here at Almaden Valley Aesthetics (AVA Rejuvenation) of San Jose, we have created a niche in rejuvenation and relaxation by specializing in new methods of skin care as well as the latest in medical aesthetic treatments. All of our medical services are done by registered nurses in a clean, relaxing environment with your comfort in mind. Our experienced staff is dedicated to providing each client with individual, natural results. Our aesthetic services have little or no downtime, allowing you to schedule appointments at your convenience and return quickly to your busy life. Born and raised in Michigan, Dr. Blay attended the University of Michigan, graduating with a degree in pharmacy. Following medical school in Detroit, and an internship at Henry Ford Hospital in Detroit, he moved to California to complete his residency at Highland General Hospital in Oakland. Afterward, Dr. Blay began practicing full time at Kaiser Permanente San Jose Medical Center, where he had a busy Internal Medicine practice for 10 years before making the jump to the Emergency Room. He was a full-time emergency medicine physician and served as chief of the ER at Kaiser San Jose for over 10 years. As chief, he continued to practice in the ER but was also responsible for hiring, HR concerns, regulatory oversight, staff coordination, quality measures, and managing a department of over 150 individuals, including a budget of over $33 million. Dr. Blay found emergency medicine to be an exciting and rewarding field, with constant challenges and opportunities for growth and learning. His internal medicine background and years spent treating advanced disease states led him to a blossoming interest in integrative medicine and preventing disease. As a result, his position as Medical Director at AVA Rejuvenation and his practice at AVA Wellness both encompass the evaluation and treatment of all aspects of the patient – general physical, hormonal, emotional, dietary, exercise, and preventative and anti-aging modalities. Dr. Blay believes that an individual’s health is the single most precious commodity that one has. As a physician, he considers it his responsibility and duty to not only treat acute illnesses but to educate and work with his patients to prevent illness and help each individual get the most out of his or her life. He believes that “it’s not how long you live, but how well you live”, and to that end, stresses healthy lifestyle choices and preventative health care to all of his patients. Dr. Hadid is a British, Board Certified Obstetrician and Gynecologist, Fellow of the American College for Obstetricians and Gynecologists. He graduated from Alexandria University Medical School and trained in the London UK teaching hospitals. Dr. Hadid joined Kaiser Permanente in 1988 where he served as Chief of the Urogynecology Department for nearly 20 years. He was directly responsible for initiating and instituting many new therapeutic procedures and was loved by his patients and staff. Dr. Hadid remains very passionate about feminine health and has decided to continue his work by joining our AVA team. In this endeavor, Dr. Hadid hopes to empower women by providing feminine rejuvenation, promoting self-care, renewing their self-confidence as well as their overall health and well-being. Away from work, Dr. Hadid loves classical music, playing the piano and making wine. He is an accomplished linguist and is fluent in English, French, and Arabic, with adequate Italian, Greek and Spanish. We are honored and excited to have Dr. Hadid on board with us here at Ava. Born and raised in San Jose, Brenda is proud to work and reside in the Silicon Valley. 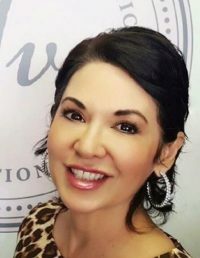 Before assuming the role of Aesthetic Nurse Specialist at Ava Rejuvenation, Brenda had a substantial and fulfilling career as a registered nurse. She has worked extensively in the fields of both Emergency and Aesthetic Nursing, variously employed as a Plastic Surgery Nurse Consultant, Surgery RN Circulator, Recovery Room Nurse, as well as Emergency Room Nurse and Triage. Such a manifold and successful career has garnered Brenda a wealth of expertise, which she adeptly passes on to her clients. Nearly 15 years of performing scores of laser procedures, administering dermal fillers and working with Botox Cosmetic, have all honed Brenda’s skills as an exceedingly reliable and talented medical aesthetic artist using the latest non-surgical aesthetic techniques. Her tremendous desire to deliver natural and aesthetically pleasing results for all skin types and lifestyles have served as her key motivation. Brenda knows that no single approach is right for everyone. She has an artistic eye and is passionate about her job. She caters her approach to each client to ensure complete satisfaction and individualized results. In her spare time, Brenda can be found spending cherished time with her family. Brenda earned her Nursing Degree from San Jose State University. She has been trained and certified to perform all of the aesthetic procedures at Ava Rejuvenation and is a member of the American Academy of Anti-Aging Dermatology Nurses Association. A graduate of Iowa State University with a Bachelor of Arts Degree, Deb came to the Silicon Valley and settled into the High Tech industry. After a successful career, she paused to reassess and re-educate. In 2011 Deb graduated from Nursing School in March, took the NCLEX in April, became a Licensed RN in May, and applied to AVA in June. She started with AVA in July of 2011. Deb is a “gear-head”. She loves the “how”. If you need to know how a product or device works, she has the answer. Her love of all things technical blends well with her artistic and special sensibilities to provide AVA clients with top notch rejuvenation and aesthetic results. Deb is our resident laser specialist. She wields both coherent and incoherent light as well as RF devices to rejuvenate and tighten skin, remove hair, ablate veins, and correct skin color. Many AVA clients choose Deb when getting Botox and Dysport injections because she is light-handed with a needle and extremely accurate. She is a fan of MicroPen, referring to it as “the thrifty man’s fraxel.” Her Micropen techniques for stretch marks and acne scarring have won her five-star Yelp reviews and scores of satisfied clients. When possible Deb favors a “top down” approach with facial fillers by lifting cheeks before filling nasal-labial folds and circum-oral parenthesis, thereby reducing bulk in the lower face. Her clients praise her honest approach and excellent results. Additionally, Deb specializes in forehead filler. Always excited to learn new technologies, Deb is now AVA’s Ultherapist. Allowing her to lift deeper tissues of the face, neck, and chest with focused ultrasound. Beyond the clinic, Deb is a wife, mother of two, cat owner, camper, and is working on her first novel. Loren has been the Clinic Manager at AVA for the past 6 years, she brings over ten years of experience working in professional, client-centered medical office environments. Striving to provide the highest level of client satisfaction she always goes above and beyond to exceed even the highest expectations. Loren recognizes that her duties as Clinic Manager are essential in keeping AVA running smoothly and efficiently so that our clients can receive the highest quality of care and attention that they deserve. Loren enjoys planning and organizing all AVA promotions, especially our Spring and Fall Open House events. She ensures that all clients walk away feeling relaxed and rejuvenated. When she’s not at AVA, Loren enjoys volunteering at her local community, cooking, fine wine, and spending time with her family and friends. Paula has lived in San Jose since 1987. She joined AVA in October of 2015 and quickly became a valuable member of our team. Paula spent 13 years working in Customer Service and Marketing in the fast-paced high-tech industry here in Silicon Valley. Her experience and ability to handle a busy front office professionally and graciously have greatly benefited AVA. She offers a warm and welcoming smile as well as excellent Customer Service skills to our Ava client family. In her spare time, she enjoys time with her family and also loves to play guitar and sing.